The rapid proliferation of blockchain technology, at least within tech-savvy circles, has allowed for the creation of entirely new business models and app ecosystems, which would have been impossible only a few years ago. These new applications of blockchain, outside of cryptocurrencies like Bitcoin and Ethereum, have the biggest chance of bringing the technology to the greater public. A prime example of this approach is Current, an entirely new way to consume a variety of different media, including video, podcasts, radio and music tracks, from already established platforms such as YouTube, Spotify, and many others. There are multiple different angles from which to regard this new meta-platform, but in this piece, we will be focusing on the benefits it brings to the end-user experience, as opposed to traditional platforms already in existence. As we all know, when we consume free media, it is not said media that is the product, but our information. Our attention is sold to advertisers in the form of various banners and commercial spots, and the information we provide the media organization by using its services is tracked and sold to these same advertisers, so that they can target us with ads that cater to our specific sensibilities. Therefore, it seems as though the consumer is getting the short end of the stick financially, since we receive no compensation for the use of information that belongs to us. Current seeks to rectify this situation in an innovative way, as we will see. Furthermore, recommendations made by platforms such as YouTube, based on opaque and insufficiently precise algorithms, often get it wrong when recommending content to its users. That is because the recommendations are based on the data collected on previous choices made by the user, as well as whatever content happens to be popular at the time. There is no data sharing between the various media services used by a particular user, at least not when recommendations are concerned. That way, a large amount of data is lost, or fragmented in such a way that it cannot provide a clear enough picture of the user’s preferences for accurate recommendations to be made. Current has also come up with a way to fix this. Let us look at some of the solutions to the aforementioned problems of user experience offered by Current. The solution to the first problem is a simple one, at least on paper: pay the user for the use of their information! These payments are made using Current’s own Currency (see what I did there? ), an Ethereum-based token used for all in-app transactions. The tokens can be used to make any sort of in-app purchase, which is an incredibly convenient way to get regular people into cryptocurrencies. That is due to the fact that this integrated approach reduces technological barriers to ownership, so that people who are not particularly tech-savvy end up owning some cryptocurrency, without all the hassle involved with setting up and securing a digital wallet, as people are forced to do nowadays. The second problem, the one related to the propriety of recommendations made by the system to the user, is solved by the very basic functioning of the platform. To reiterate, Current is a meta-platform that imports content from various established websites and media providers all under one roof, providing a seamless experience for the user. The fact that all these various media outlets, as well as types of media, are housed under one roof allows for unprecedented levels of synergy between these disparate content types. Current can also make recommendations based on data from other users with similar preference profiles. This allows the system to constantly fine-tune its predictions, leading to more watch time. 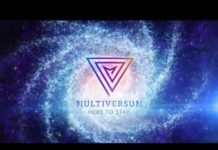 Among a whole host of as-yet relatively unknown apps which have implemented their own micro currency based on Ethereum floating around the market, Current stands out as the one with the clearest and boldest vision, with the chance of disrupting the way we consume media, and offering an entirely new paradigm. This is definitely an app that investors should keep their eyes on! Is the Debitum Network Really Worth Your Time and Money? Why Will Project Egretia Connect 100 Billion Global Users By 2025?